Norm Goldman, B.A. LL.L, is the Publisher & Editor of http://Bookpleasures.com. He is also a top 500 http://Amazon.com reviewer. With the job market in the dumps now may be the time to brush up on your interviewing skills in order to stand out from your competition. 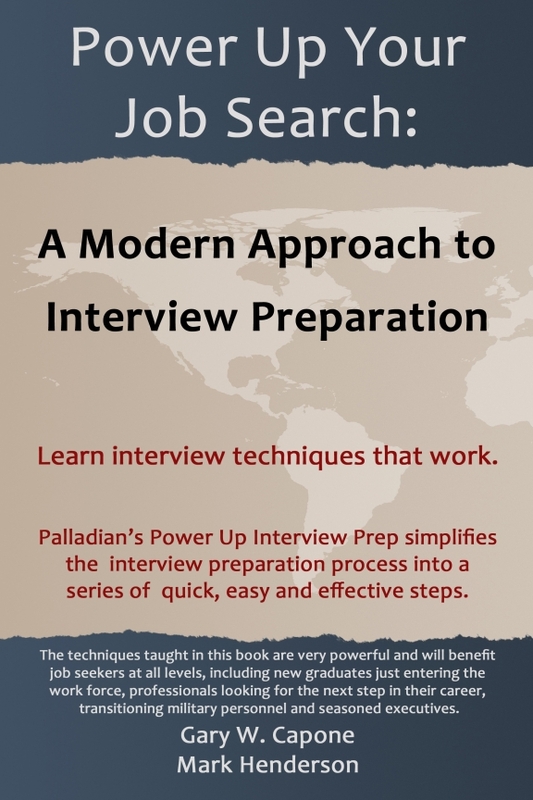 A step in the right direction would be to secure a copy of Power Up Your Job Search: A Modern Approach to Interview Preparation authored by Executive recruiters Gary W. Capone and Mark Henderson. Capone and Henderson are founders and executives of Palladian International-an executive search firm that caters to a select group of companies who wish to identify and attract the highest performing individuals in order to separate them from those of mediocre skills. They specialize in working with manufacturing, distribution, sales, marketing and defense organizations for management and executive level positions. In order to accomplish this feat they have divided their guide into twenty-six lessons including invaluable exercises at the end of each. Covered are such topics as interview process, interview structure, what employers consider important, developing a positioning statement, different kinds of interview types and styles, samplings of interview questions, questions pertaining to experience, skills, behavior, communication skills, career goals, company and industry knowledge, education, aptitude, career progression, compensation and even off limits questions. One noteworthy chapter and which in my estimate is probably the most important one is Lesson 8, Star (L). According to the authors, this is one of the most powerful techniques in the course and relies on preparing powerful stories from your experiences. You are probably asking what is Star (L)? Essentially, it represents Situation, Thoughts, Actions and Results. The L stands for Lessons Learned. We are informed that if you use this format in an interview, it will facilitate the interviewer’s task in following you. In addition, it will also help you to remain focused and arrive at a clearly defined conclusion to your reply. How often have we experienced interviews where we are taken aback by a particular question and end up long-winded and incoherent? By using the STAR (L) method we can steer clear of this trap. Fundamentally, what it all boils down to is describing the situation you are going to discuss, discussing your thoughts concerning the situation, what actions you should take, what were the results and finally, if applicable, what did you gain from the experience that will help you in future situations. There are other chapters in the book that are likewise invaluable assets including the Appendix that contains a list of some of the most frequent interview questions. This book is indeed a weighty tome written in a breezy style that will help you to appreciate the interviewing process. Moreover, it will prepare you in presenting yourself in a way that will make you stand out from your competitors. Without any doubt, the authors have achieved their goal in presenting a well-organized guide that is “short, concise and packed with value.” Those willing to take the time to follow their recommendations and participate in the exercises will find the book a most helpful and priceless tool.